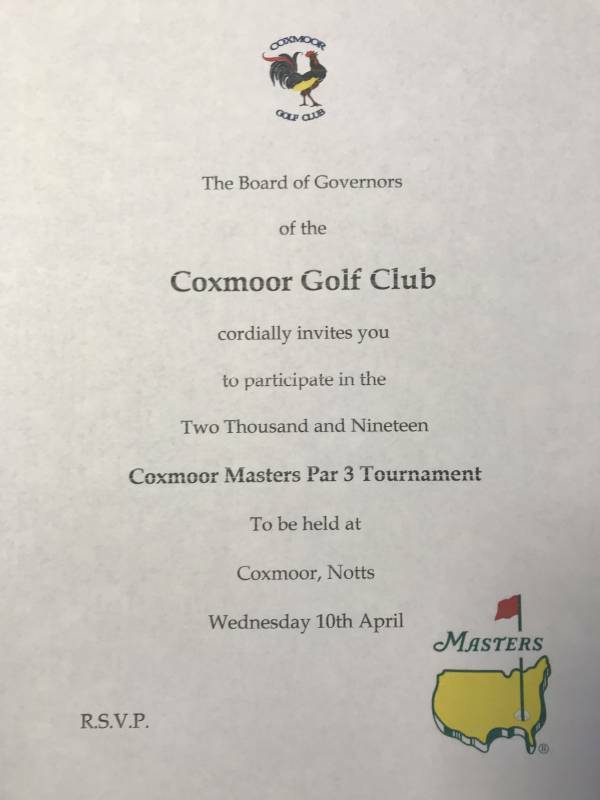 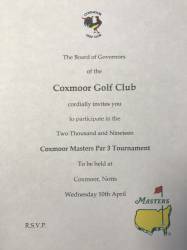 The US Masters will soon be upon us...which means the Coxmoor 9 hole Masters Special is also on its way! 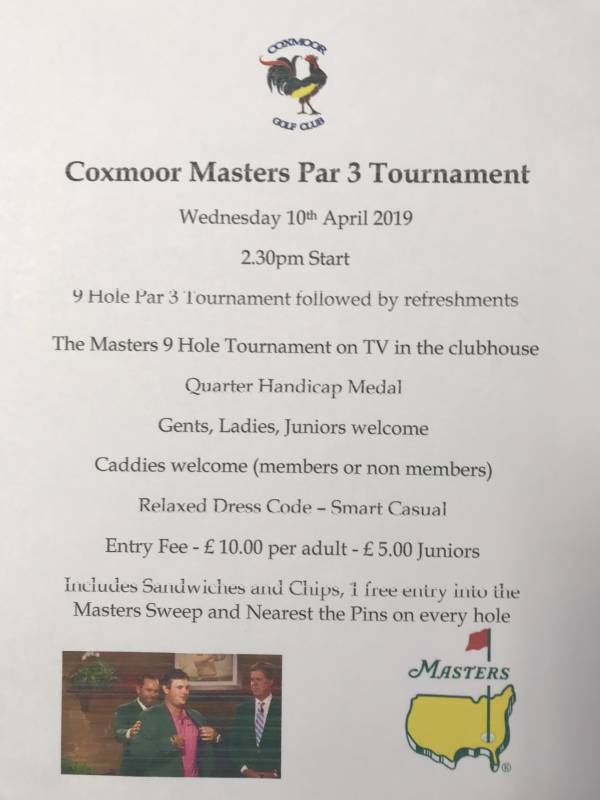 Come and join us for 9 ‘special’ par 3 holes followed by sandwiches and chips in the clubhouse with the Masters Par 3 tournament playing on the TV’s. 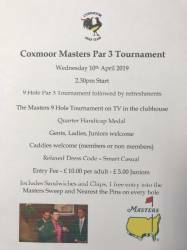 Please contact the Pro Shop to book a time.